If you were to lay down each piece of paper printed at Douglas College in a row, the trail would be long enough to span from Victoria, BC to Sydney, NS. In April, based on meetings between the Senior Management Team and the Learning Technology Steering Committee, the Douglas College Printing Working Group officially began. The intention of the group was to gather data surrounding printers on campuses. Some of the data the group looked at included how much paper is being consumed, how many printers are working, and what other universities are doing. The group is co-chaired by Sarah Dench and Trish Rosseel, with representatives from the DSU, staff, and faculty who were included in the conversation to get a good sense of printing on campus. Rosseel, Director of Learning Resources and Records Management, said in an interview with the Other Press that from April until now the main focus has been to gather information. 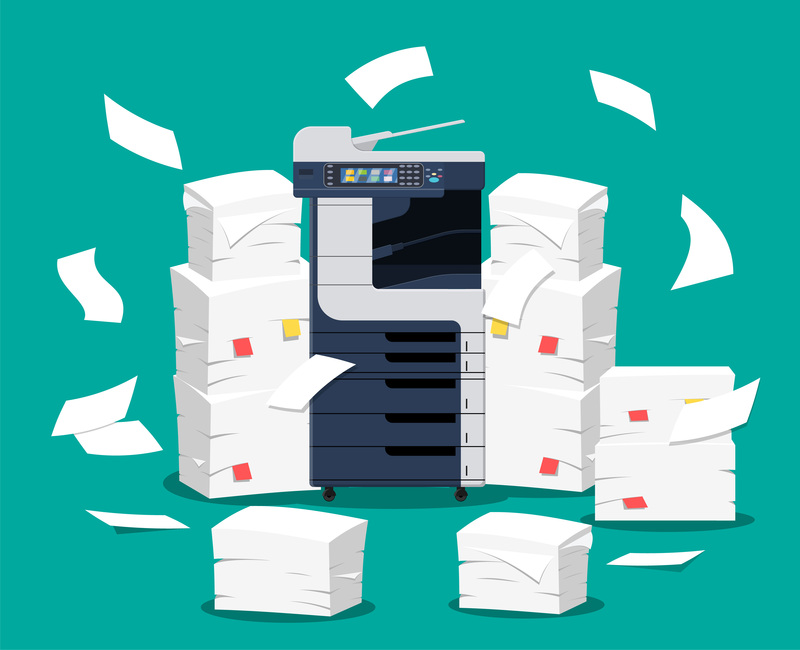 From the information the group gathered, it is estimated that more than 22 million pieces of paper were printed at Douglas College in the year 2017. Rosseel said that she was surprised at how much paper the college goes through yearly. Britanny de la Cruz, a second-year Nursing student at Douglas College, said in an interview with the Other Press that she prints a lot of paper for her classes and gave a rough estimate of how much she prints per semester. In addition, Cruz said that she chooses to print because she prefers it to looking at a screen. According to multiple studies complied by Caroline Myrberg and Ninna Wiberg in Insights, reading off of screens is not worse for your health than it is to read off of paper, but they found that people do need to take breaks from looking at a screen after a while. There were mixed results over whether or not people retain more information via paper or screens. One of the studies mentioned in Myrberg and Wiberg’s article found that students did retain more information on paper, but this did not take into account a student’s practiced preferred mode of studying. Rosseel said that once the Printing Working Group finishes compiling data for Douglas College, the plan is to send formal recommendations back to the Senior Management Team for practices and technology to make printing less consumptive. These recommendations are expected to be made by early 2019. Nathalie Schapansky, a French professor at Douglas College, said that marking on a computer is more difficult than it is on paper. Rosseel said that it’s also about changing people’s perceptions of printing and to get people thinking about the impacts it has on the environment.